The Arthritis Foundation is the largest private, non-profit contributor to arthritis research in the world. Since its inception in 1948, it has invested more than $380 million on research to support more than 2,200 scientists, physicians and health professionals involved in cutting-edge arthritis research. 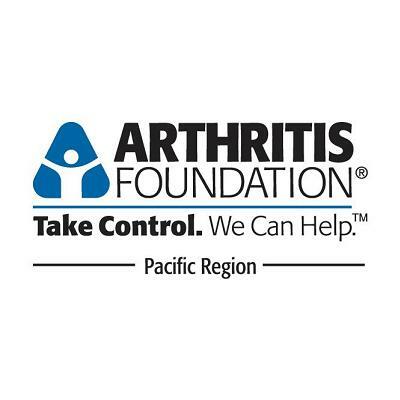 The Arthritis Foundation - Pacific Region serves almost 5.5 million adults and nearly 42,000 children with arthritis and related diseases in Greater California, Hawaii and Nevada. We are committed to raising awareness and reducing the impact of arthritis, a serious, painful and unacceptable disease that robs people of living life to its fullest. In support of our mission, we offer education, research grants, advocacy and other vital programs and services to improve the lives of those with arthritis and related diseases.